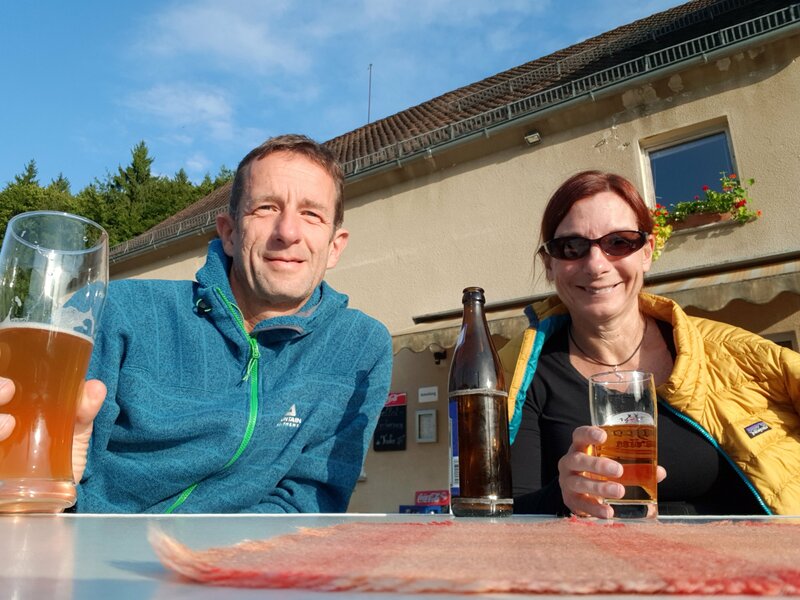 24 hours after leaving home we’re camped at Gasthof Eichler in the heart of the Frankenjura, about 700 miles from home (with a bit of help from the Hull to Rotterdam ferry). Still a bit knackered though, but nothing that a heffer-weisser and a slice of one of Martha’s amazing cakes won’t sort out. It’s a bit grey the next morning and after a late start we arrive at one of the hundreds of crags hereabouts. 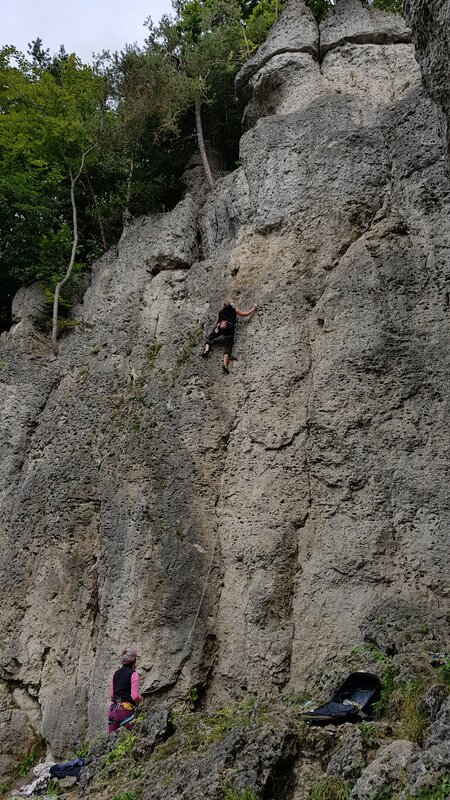 Hohe Reute has a couple of dozen routes and lots of stars. 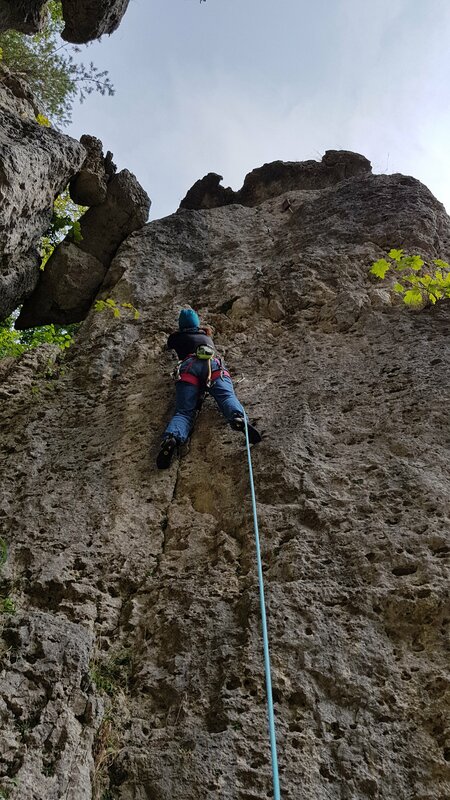 We’ve got a a couple of local climbers for company. 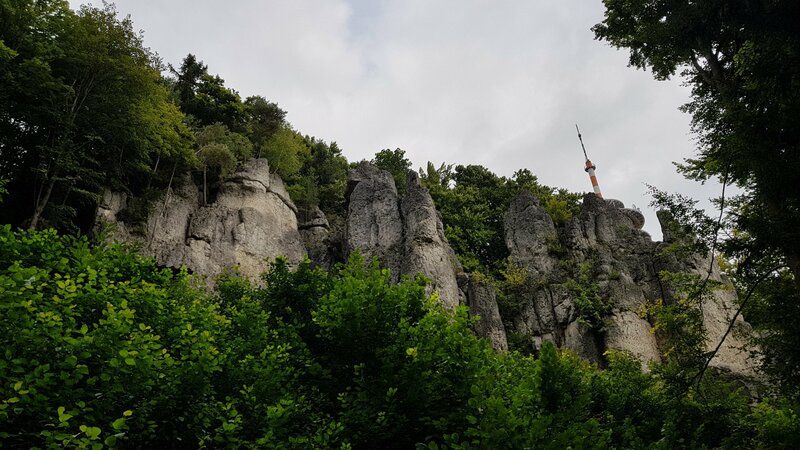 And set about the inevitable humbling associated with this generally steep, pockety, somewhat polished and often run-out climbing. 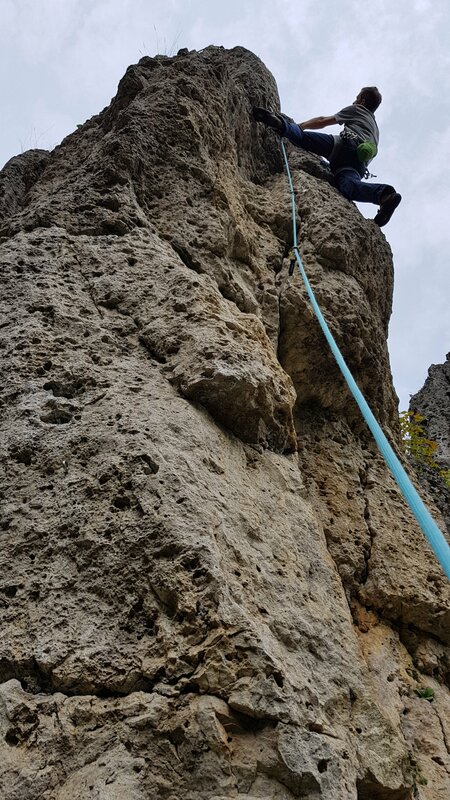 We managed a bunch of routes from 6- to 7-, sounds impressive until you translate into French grades at 5c to 6a+. Good to get moving after the long drive. 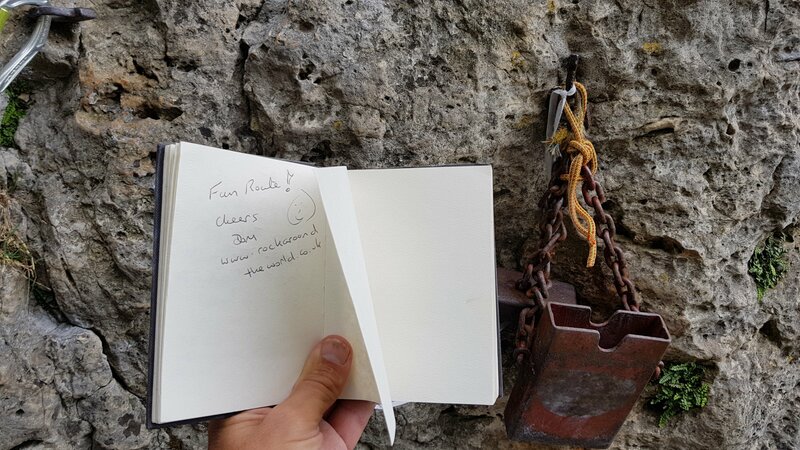 … and as a bonus of a quaint local tradition you get to write your name in a book at the top of some of the routes! 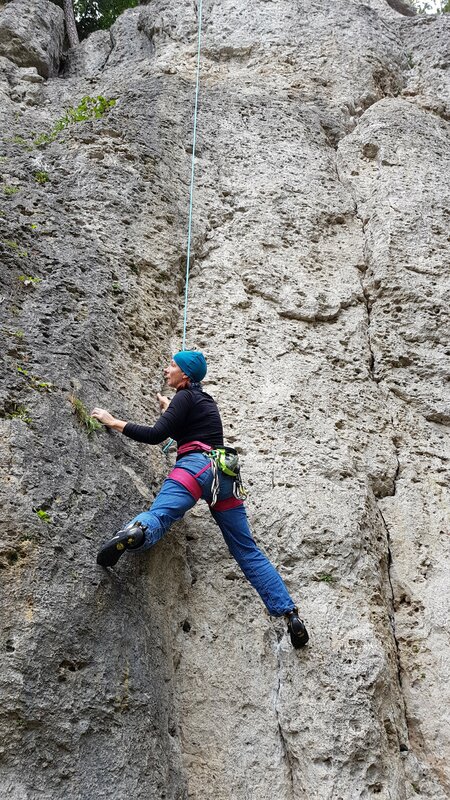 One last route before it’s time to head back for more beer and cake!